We had a glitch in the newsletter program and if you subscribed around April 1, you may have to subscribe again. Several signups were lost. Have you “Liked” my “Tom T. Moore Author” Facebook page yet? I’m always posting something there so “Like” me! My TV series, THE TELEPATHIC WORLD OF TOM T. MOORE, is now on the new ROKU channel EPTV (stands for Extraordinary Phenomena TV). Check it out if you are a Roku box owner! My third episode is now posted. Orbs, Time Lines and much more! The fourth on FIRST CONTACT should be posted this week. THE GENTLE WAY I: "AWESOME! This book was awesome! I had many questions, and so did others, because many of my questions were answered as I was reading the this book! Anyone who wants to learn how to communicate with their Guardian Angel, this is an incredible way to start!" Raymond wrote: "Daily help from your angels! This is a great self-help book that introduces you to prayers as a Most Benevolent Outcome to help you through tough times in life as well as every day events. Your angels want to help you and they are always with you. Your prayers and requests are heard by your Angels and they will give you the most benevolent outcome for your situation. Ask and you shall receive!" THE GENTLE WAY II: "Thank you for Book II! I was so excited when this second book came out! It gives more hints and pointers about MBOs and BPs, as in how to phrase them, because you can say and use them at any time! Thank you Tom T Moore!" ATLANTIS & LEMURIA: Josephine wrote: "Answers so many Questions about Atlantis and Lemuria. It was like taking a journey into the past that was somehow echoing in my brain. The channeling felt real and honest, and when it wasn't clear Tom Moore questioned, and it became clear. The answers received were compelling and resonated with a past, many of us recognize as so many of us were there. A wonderful experience to read such a complete description of ancient times. I loved it!" My new book, “ATLANTIS & LEMURIA—The Lost Continents Revealed!” has so much information that has NEVER BEEN PUBLISHED in any other book on the subject! Read the REAL history of two societies who existed for over 50,000 years each. If you missed last week’s newsletter, please go back and read it as it has major information about a possible coming terrorist attack. Here is an update. Gaia, are there any other European countries that are in the terrorist big event? Then not Italy or Germany? Quite so, Tom. As you have contemplated, they will try and destroy the summer tourism season for these countries. Jennifer writes: Thank you for all that you do! I so greatly look forward to your newsletters each week!! Thank you, thank you! I was hoping maybe you would be able to help me figure something out. I have been reading your latest newsletters about the dream that you had prior to the Brussels bombing and the more recently predicted one coming to Europe sometime in May. About three days before the Brussels bombing, I had a very vivid dream where I was in an airport with my sister and a few friends. Somehow, I was separated from my sister and friends and an emergency announcement came over the loud speakers stating that there was a terrorist emergency happening and to seek shelter. I very vividly remember dreaming about running through the airport to a lower level and trying to hide as a group of men were coming to hurt and bomb us. I remember the airport being somewhere foreign (I live on Cape Cod, MA), yes, "in English" (no foreign languages). Shortly after... the bombings happened. Most recently, about four days ago, I had another dream. This time I was in a foreign, English speaking country again. I was staying in a hotel or University/school and a very loud, piercing, screaming alarm went off. I looked through the hotel/school window and heard that "someone had escaped" from the building that I was looking at. The next thing I know, a blond man was trying to break into the hotel/school window! And we were high up, at least the second floor!! I saw him and made a run for it. Next thing I remember I was outside and running across a campus... many, many people were also running and I saw the man!! He was exiting the building I was previously in and casually going against the crowd to escape. I remember thinking how I instantly recognized him as the "bad man" and wanted desperately to "act natural" so he didn't see me. I remember thinking "that is him! It’s him! !” He is thin, and blond and Northern European looking (could be Swedish or German) trying to capture his face in my memory. It stands with me today, this dream. And when I just read your questions about this to Gaia, I knew I had to ask.... did I see what is to happen? Theo, did Jennifer have a precognitive dream of the upcoming terrorist event? Quite so, Tom, and a number of your readers will too who record their dreams each morning as we recommend they do. Not only will they write down such precognitive dreams of world events, but especially in their lives they will have precognitive symbolic dreams, and sometimes the dreams will appear to be as clear as the proverbial nose on your face. But do write them down and review them once a month as this helps solidify the messages your soul (what some people call their higher self or oversoul) sends to you to assist in adjusting to changing conditions around you. Janice writes: This week’s newsletter was really good, especially the questions on love and the MBOs and BOs. My question has to do with the Republican Party and the things that are happening in it. Some people are saying it will implode, collapse, etc., due to the characters in the presidential campaign. I have read from other sites that the illuminati presence and grip on American politics is lessening and will eventually end. I do feel that many republicans in power are illuminati-influenced. Is this true? Does the possible restructuring/collapse of the Republican Party signal the start of or complete demise of illuminati influence then? Thanks for all you do. I must watch the latest Roku show as I need to learn more about Time Lines. Theo, does the Illuminati have more influence on the Republican Party? In a way, yes, as keep in mind there are very wealthy individuals who wish to keep their wealth and the Illuminati preys on greed. But, again, this influence is waning. Does the Republican restructuring signal an end to influence? Not for that reason. There are other forces at play that is lessening their influence. There are younger people who have become suddenly very wealthy who believe in philanthropy and not hoarding it, although there are some that do. They have soul contracts to learn how to handle wealth and some have not learned the lesson yet. Gaia, I read Lyssa Royal’s channeling recently and did she receive correctly that the Lyrans “beget” the Pleiadians and the Vegans “beget” Orion and Sirius, and they were in competition with each other in regards to the Earth? Somewhat accurate, Tom, but not actually. She did receive correctly part of it. We have discussed quite some time ago that the Lyrans and Vegans were the oldest societies you will ever deal with and/or connect with. Even by our standards, Tom, these are ancient societies by several billion years. You have also been told that even when the reptilians began the war a million years ago, they stayed well away from the Lyrans and Vegans as they had capabilities far beyond what the reptilians and, for that matter, any other planet in this galaxy. So, yes, there is the question about competition. You have also been told that Earth was moved from the Sirius B Star System to its present location. So you must ask yourself if they were in competition for the earth, how was that possible given who volunteered this planet for the Earth Experiment? All parties wanted this to happen. But they did disagree on how it was to go forth, so the Pleiadians and Sirians had their disagreements, with the Lyrans and Vegans behind the scenes you might say. This was ancient history for you, but yes, Lyssa was correct in how both the Lyrans and Vegans spread their influence across the universe. Are there any other societies in the universe as old as those two? No, they are by far the oldest and have expanded in other directions as you might guess. Yes, there are trillions of intelligent societies on other planets, but they are by far the oldest. So Lyssa has part of the story, but there are parts missing; just as what you receive from us is not quite complete since you must ask specific questions, she has limits on what she receives. Suffice to say that both these two ancient societies had disagreements on how best to conduct the Earth Experiment. It worked itself out over time, but they never came to blows so to speak. They are far past the time of wars although they have the capability of great destruction if they were to choose to do so, which is why everyone would stay clear of any physical clashes with them. Will the Explorer Race one day go to both to see and learn more about them? Yes, but as you might guess, Tom, it will be much farther in your future than even the 3400 era. At that time, you will just be getting your feet wet using that terminology by visiting the 200 planets in the Federation and starting to spread the negativity, which they will in turn do the same across the universe. That will be your primary job and mission. But yes, eventually you will seek them out. It appears that knowledge learned from a previous life can affect the present time line. Like you, for instance, Tom, since Atlantis, you have been teaching benevolence; each incarnation you introduced people to the Gentle Way. Throughout your many lives, you have been working on your spiritual mastery, helping raise everyone’s vibrations as well as your own. As your vibrations rise, does your veil thin? As the veil thins, is the fragment more aware of its own truth, or does the fragment just continue to communicate with the oversoul during dreamtime? As our veils thin, do we lose our GA’s assistance, or is it just easier to communicate with them? Theo, as our vibrational level rises does the veil thin? Not exactly. As I have explained before, even when you go to the stars there will still be the 12 time lines and with it comes the veiling so that you are able to reinvent the wheel, to use that old expression. Creator believes you will come up with better and more inventive ways to solve old problems or to do something better than your ET uncles and aunts have been able to create. If you lost the veil, you would rely on all your other lives not only on Earth, but back on your home planets. What will occur is the ability to love everyone and not have the prejudices that many people have today. Will we learn more about who we are? Only glimpses since, again, to have it completely laid out for you would interfere with your goals. 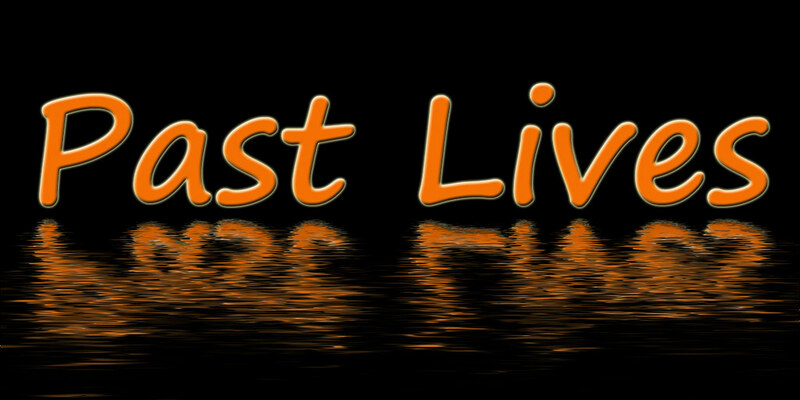 More people will come to realize how you are affected by your past lives and will be able to overcome certain fears with this knowledge. Will we not need the assistance of our GAs as much or will we work with them more? More people will recognize the great assistance we can give you, Tom, thanks to your and others’ work to enlighten people. The “proof is in the pudding,” so to speak, and people will want to know why some people are happier and more successful and they will learn about requesting MBOs in their lives. Jerry writes: I was looking at different healing modalities/systems. Would you please ask Gaia or Theo if they are the same or different? Is it my impression that energy/frequency that’s being used to performed the healing is the same, just different people name them differently? If they are different, is any one of them stronger or more effective in healing? 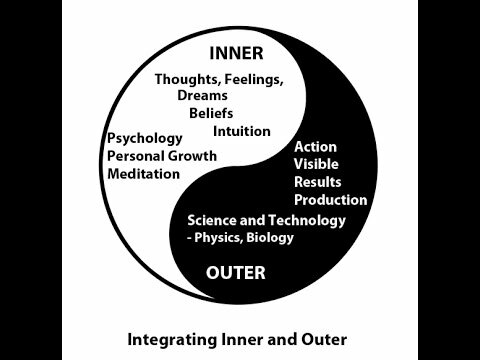 Gaia, are all these healing systems basically the same—Reconnective healing; Reiki; Healing touch; Qi-Jong/Tai Chi? Does anyone of them stand out as the best? All have their attributes, and as you might have guessed, it also depends upon their beliefs and even the belief structure of the people they serve. So, for me to choose one above another would do disservice to the others. All can be effective in the right hands—the practitioner and how much experience they have not only in this life, but in previous lives performing this service. Which is why you will see varying results in their use. One person might be able to instantly heal while another might be trying to learn this for the first time and has much to learn in the healing arts. And this should tell you something else. For those of you who use these healing services does the person offering this healing resonate with you or not? If not, then the results may be minimal. So don’t just accept someone’s word that they can heal you, open up those receptors that we’ve called antenna in the past. Krina writes: More than a year ago, I noticed a very interesting article of yours on the Internet, and I subscribed to your newsletters. Thank you for it, is very much appreciated. During a healing session that I had with some friends of mine, I was told (through the person who was channeling), that I should ask for the Energies from the Lemurian Temple that is located on the Potomac River here in US. As I found you to be an expert in Lemurian and Atlantis civilizations, my question is if you know where this Temple is located exactly because I want to go there, feel and heal with their energies. Thank you very much for your time and hope to hear from you soon. Gaia, is there a Lemurian healing temple on the East Coast, and if so, where? There are various healing centers on the East Coast of North America, Tom. There is more than one that claim to be connected to Lemuria. I will leave it to the person seeking healing to decide whether a center that claims to heal actually can. I would recommend caution in choosing the best healers and healing locations. There are always charlatans who wish to take your money. I am not saying this is the case here, but this is a reminder for anyone contemplating considering a visit to one. Check them out. Google reviews on these centers. Be wise. Theo introduced Antura to me in 2008. As I was to learn in asking hundreds of questions that I compiled into my book FIRST CONTACT: Conversations with an ET, he’s a member of my soul group or “cluster” as Theo calls them and has already had 800 lives on Earth. He’s now using what he learned from his Earth lives on a waterworld in the Sirius B Star System before returning for more Earth lives. Did I forget to mention he’s an amphibian? Here are more questions sent in by readers. Sandy writes: I am wondering though, a while ago Theo said, when asked about Cory Goode, that most of what he said was true. Most of what Cory says is related to several secret space programs, military, corporate and UN-related. Supposedly these advanced space programs travel to the moon and other planets where there are supposedly colonies and have weird negotiations with other ETs - especially reptilians. Yet it seems that when we ask about these SS programs, Theo says they're not true and that Earth's capabilities are not that advanced as to be able to establish colonies on other planets, etc. So, I'm wondering was there something else he meant about Cory Goode’s assertions? Thanks, I always appreciate your input and your diligence in helping us all understand what's going on. Antura, how much of what Corey Goode related to David Wilcock is accurate and true? Here we get into what Theo calls beliefs, Tom, and there are people that believe all of what is related. It resonates with them. Others not so much. Let’s say that not all of what he relates is as factual as it seems. Let your readers make those decisions as to his accuracy. Auntmommie writes: How are we going to handle water when we get out in space? Will we travel to other planets that have water to fill up our tanks to get us to the next place? Will we use and adapt to other ways of hydration for humans, plants and animals? I really haven’t seen anything in your newsletters that talks about water out in space. Water on Earth is heavy, and we humans depend on it to not only survive, but we need it to live healthy lives. I would suspect that out in space, water would be weightless. The current space station gets periodic deliveries of supplies, but when we are out in space exploring and visiting planets that are 75 light years away, can one expect to happen upon a supply vessel just floating around waiting for business like a galactic water ship for the Explorer Race (I keep getting an image in my head from the movie Space Balls)? When we are in a suspended state of animation, as we travel millions of miles across the Universe, will we need water to survive such long trips? Antura, how will we solve the problem of having or carrying sufficient water on board our space ships as we begin to explore the universe? 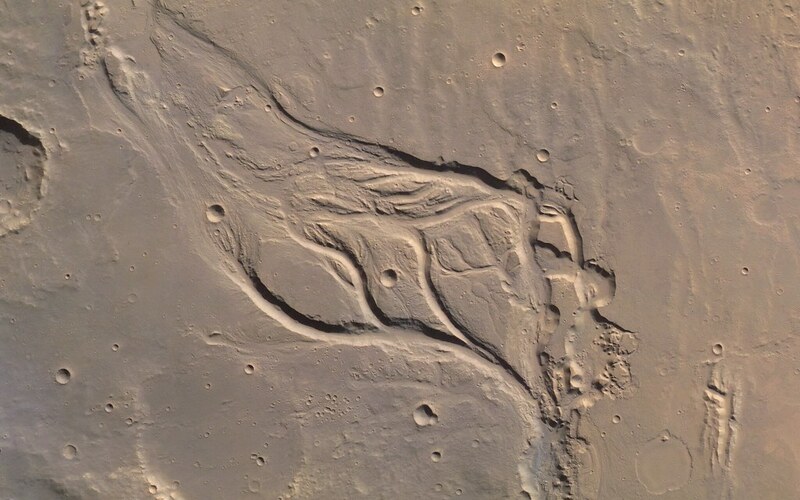 In the short run, Tom, you will find water on seemingly desert planets such as Mars. There is sufficient water there similar to, but not quite the same as, Earth’s. It’s just located in caverns below the surface and will be considered the great find in your initial explorations. Not necessarily the first voyage, but one of the first of several expeditions. There will come a time in the far future when you will learn how to combine elements to make food and water on your longer expeditions. There will also be less concern about weight, as you will have plants and such to produce more water. Then come the machines, we will call them, that can instantly create food and water. All of this will take several hundred years, but these problems will be solved slowly but surely. Will there be any rock beings on board your ship when you come? Not exactly rock beings, Tom, but there will be beings with a high mineral content that defy classification. They are quite difficult to describe until you are actually able to meet them. They are quite beautiful in their own way. Antura, what will you do in your next life on Earth? Will it be to explore the stars? Close to when you will go in the 3400 era, but later. Keep in mind we are not to step on each other’s paths, but to go in opposite directions you might say. I will range farther out thanks to the work you and others will do before me. So just to make sure I received correctly, you will not be an explorer on Earth? No, Tom, most of the explorations at that time will all be directed to exploring the universe. I misplaced my glasses on March 11th. When I noticed they were gone, I immediately said an MBO for them to be found. I waited and waited and then I did another one and waited and waited. I didn’t really want to go crazy looking all over for them, because I had absolutely no idea where I could have left them, and didn’t want to waste my energy searching for them. And, ya know it’s not like I didn’t do an MBO, so they will turn up. But they didn’t. I thought that maybe I wasn’t supposed to find them so I can get my delinquent eye check up and get new glasses, and that’s why my MBO had not been answered. But then I rethought the MBOs for finding my glasses and yesterday, I did another MBO and asked for them to find me instead. Lo and behold, this morning, March 30th, in my car on the floor of the passenger side were my glasses, where I had looked at least five times, just sitting there. I have been driving my car almost every day since I misplaced my glasses without seeing them…MBOs are truly amazing tools!!! Don’t forget folks that you can request an MBO to never lose your glasses again. That’s worked for me. Heather writes: Tom - I recently saw you on an old interview from the show, Open Minds, on Gaia TV. It really connected with me. I signed up for your newsletters and started reading your old ones. I saw the newsletter on asking for an MBO on tips and commissions and decided to try it at my part time job where I make commissions selling sewing machines. I'd been in a slump lately not selling any of our machines and our whole store was going to miss our monthly budget by a large margin for the first time in several years. I normally work just on Sunday, but with the Easter holiday and no hours on Sunday, I worked Tuesday and Thursday evening, three hours each time. Tuesday I asked for an MBO and sold my first machine in weeks. Requested an MBO again Thursday. In the last half hour of our store being open, a customer walked in and bought our most expensive machine. I quickly asked for an MBO that it would go smoothly and quickly, and it did. My manager was so excited we made budget literally at the last minute with the sale that she called the district manager who called and thanked me! Thank you for sharing the MBOs! MJ writes: I was watching the Super Bowl halftime show and was amazed by the performance of Chris Martin and Coldplay. There is something very light and childlike about their music. Could you ask your guides if Chris and his band are some special beings that are here to help anchor the light on Earth? Their song, "Adventure of a Lifetime," feels like it could be light enough to float on a cloud. It would be impossible for someone to remain in a bad mood after listening to that song. Thank you for everything you do. I have been reading every newsletter for years. I always look forward to receiving your newsletter in my email box on Thursdays. Infinite love and gratitude to you and your guides. Theo, what is the soul interest for Chris Martin and the members of Coldplay? Just as you can imagine, Tom. Music in all forms would be for both the lead singer and his bandmates. They have had many lives prior to this one, and of course this would be considered a significant life for each of them to feel the pinnacle of success and to learn how to handle that success. Their soul contracts in this life are just that—handle great success while contributing to society. Bill in Ohio writes: Tyler Henry stars on the E! 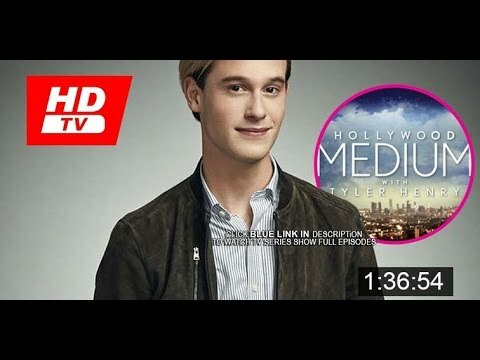 Network in a show called “Hollywood Medium With Tyler Henry.” He is very young in the business, at just 20 years old, and the show describes him as having become Hollywood’s go-to medium. Because of his age, most of the time he does not recognize the celebrities he is reading for, nor does he appear to know much about their history. He seems very sincere in his readings, so I’m wondering if Tyler is really connecting to spirit. Is he truly relaying messages from the dead and/or spirit guides to the celebs he’s reading for? Also, what is his soul contract? Theo, how accurate is medium Tyler Henry and what is his soul interest? His soul interest is communication and has done this in prior lives. In time, he will broaden his interests, but at this time he is content to assist others to lessen their grief at a loved one’s passing. You have done this in a few past lives yourself. This was accepted, although at times it was looked upon as the devil’s work and you were persecuted for it. Mike in the UK writes: Another question for the newsletter. Asexuality, for those who don't know - people who identify as "asexual" are individuals who don't have any sexual interests, feelings or desires whatsoever. Please explain why some people have asexuality in their soul contract. Theo, why do some people have asexuality in their soul contracts? Again, this is on one’s bucket list to experience in one or more lives, Tom. It can be a medical problem, or simply a lack of libido. There are treatments for this problem, should the person desire them. For others they are content to live as they are. Auntmommie writes: I very much enjoy and depend on your newsletter each and every week. As I read them, I cut and paste the subjects that fascinate me and create another document with just those fascinating things. Then, I print them out and put them in a notebook. Whenever I get the chance, I read over them and highlight exactly why it was that I chose those passages, so that I can better answer the questions that are posed to me when teaching The Gentle Way. Gaia, when we say “I am” are we calling the Creator? Only if used in the context of the belief that you have within you the light and love of the Creator. 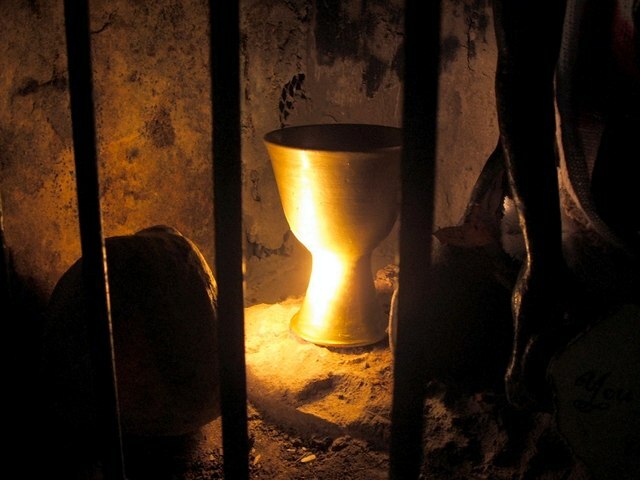 (1) What is or was The Holy Grail? (2) If it exists, where is it today? Gaia, what is the Holy Grail and does it exist today? This is part of a belief system, Tom, so I must say to allow. That was not very much information. You can read into that what you wish. Ellen writes from Shreveport, Louisiana: Thank you for your magnificent newsletter, I relish each one and feel supported daily with practical application of MBOs; this has changed my trajectory forever! Question: today I read that a Santa Barbara, CA MD, Dr. Weidong "Henry" Han, and his wife and young daughter were found murdered in their home, in what police say was NOT a random act. Could you ask, is his murder and that of his family connected to that of other alternative MDs in recent years? Is there an entity or entities that wish to do harm to those in this field? Will the perpetrator(s) be found in this case? Theo, was the murder of Dr. Weidong Han and his family committed by the same person who murdered the other five alternative doctors, or was it someone else? It was someone else, but with the same beliefs, shall we call it, as the person who murdered the five. And yes he will be caught. What about the other murderer? It will take longer for this person to be discovered, but yes eventually, but not before he adds to his list.